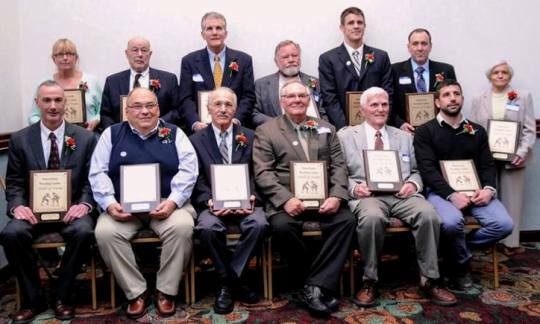 (L-R) Bill Luckenbaugh, Kevin McCleary, Don Lehman, John Sprenkle, Dana Luckenbaugh. 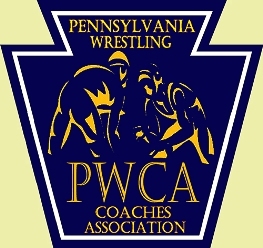 PWCA PA Wrestling Hall of Fame. West York's 10 Championship Teams! 1977, 1978, 1992, 1994, 1999. West York Sectional Champions Area! '96, '02, '03, '04, '05, '06, '09, '10, '12, '13. with a career dual record of 46-0-0.
with a career dual record of 41-0-1. 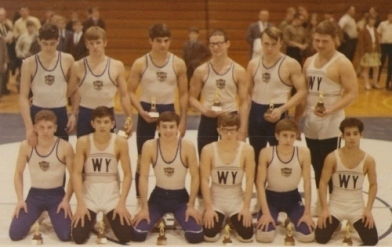 1969 PIAA State Wrestling Finals @ 127lbs. John T. Toggas and Bob Bowers @ Penn State's Rec Hall.